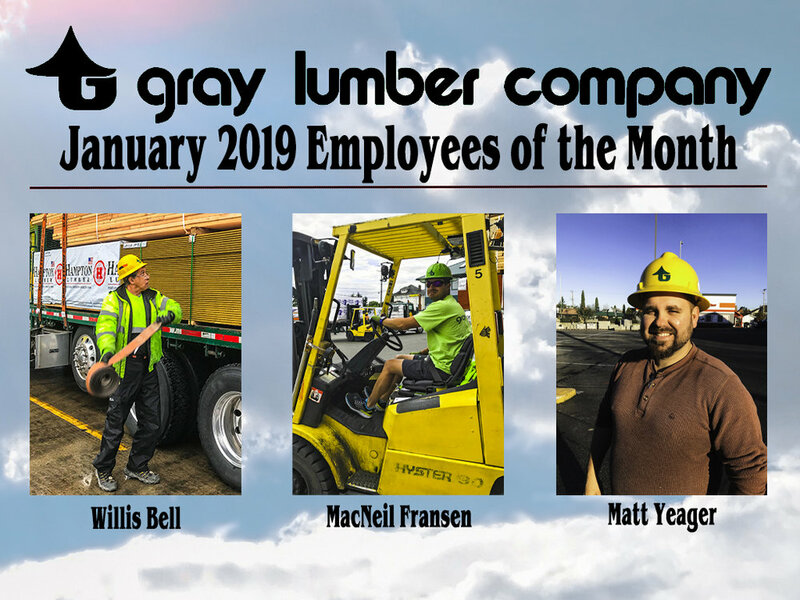 Congratulations To Our Newest Employees of the Month! NOW IN STOCK AT OUR 6th AVENUE LOCATION! Check out our selection at our 6th Avenue Store! Thank you guys for your incredible work! Now on sale at Gray Lumber! SENCO's PC1131 workhorse compressor generates 4.4 CFM which provides power for all types of applications, from finish to framing. The oil splash design and induction motor provides the durability expected for professional contractors. From Gray Lumber: Neil D. Gray (second from the left), and Steve and Mac on the right. Our very own Mike McFadden graced the cover of Building Insight with our good friend Rick Hjelm this month! Thank you for your stellar work guys!